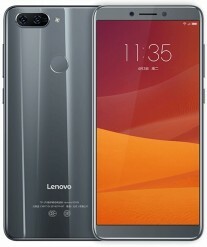 Lenovo is on somewhat of streak lately - last week the company announced the S5 in China and now two more follow. The affordable K5 and K5 Play devices just appeared on the company’s website. The Lenovo K5 comes with a 5.7” LCD panel of HD+ resolution. The chipset is lowly MediaTek MT6750 with a processor that goes up to 1.5 GHz and is coupled with 3 GB RAM. Storage on board is 32 GB, but at least there is a microSD slot. 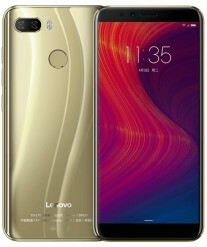 ZUI fans should rejoice, because the Lenovo K5 comes with ZUI 3.1 Lite, based on Android Nougat. There are two cameras on the back - 13 MP F/2.0 + 5 MP F/2.2 combo, while the selfie shooter has an 8 MP sensor and F/2.0 aperture. Battery capacity is 3,000 mAh, but charging is done via the old microUSB port. 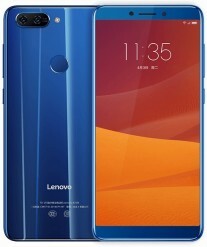 There is a fingerprint scanner on the back and this whole setup sits in a 153.8 x 72.7 x 7.8 mm body that weighs 160 g.
Offered in Gray, Black or Blue, the phone costs CNY899 which equals €115/$143. 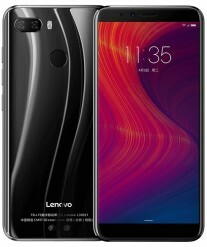 It is available for pre-order and will hit the Chinese market on April 10. 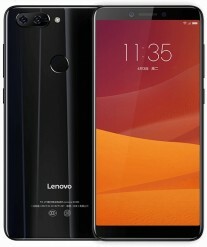 The Lenovo K5 Play is the cheaper device - it packs an identical 5.7” display, but comes with Snapdragon 430 and two memory options 2/3 GB RAM and 16/32 GB storage. There is microSD as well. Interestingly enough, the Play version has ZUI 3.7, based on newer Android Oreo, compared with the regular Lenovo K5. The two cameras on the back have 13 MP and 2 MP sensors and have an LED flash to keep them company. Fingerprint scanner and microUSB are also present on the K5 Play. The price is CNY699 or just €90/$112 for a phone in Black, Blue or Gold. Currently available for pre-order, the phone arrives a week later than the K5 on April 17. My Lenovo Vibe K4 Note from 2016 is better, especially for media consumption.